Following recent allegations of sexual harassment and misconduct in Springfield, state lawmakers have appointed a legislative inspector general to investigate those and other ethical complaints made against politicians. 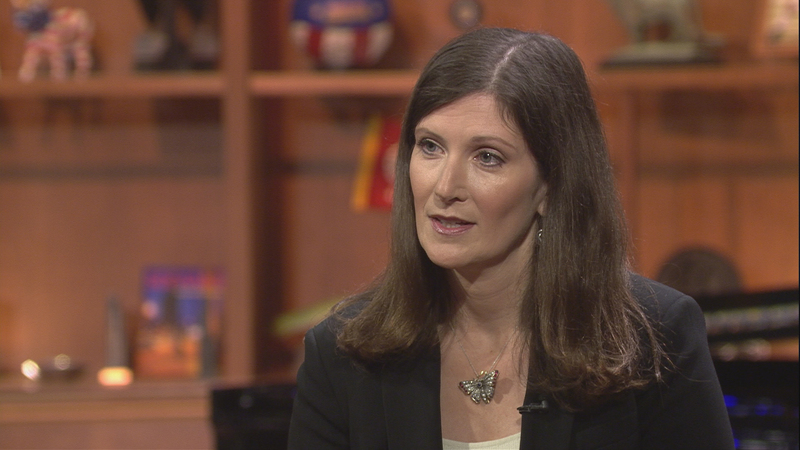 The Legislative Ethics Commission, which is composed of eight state lawmakers evenly split by party affiliation, unanimously voted Saturday to appoint former federal prosecutor Julie Porter as Illinois’ special legislative inspector general. In that role, Porter, who served as an assistant U.S. attorney in Chicago, will be responsible for investigating complaints of misconduct or lawbreaking carried out by state lawmakers. She expects to begin soon, and will continue to practice at her Evanston law firm while operating in this new role, traveling to Springfield as necessary for investigations and meetings. She said she intends to recruit help from her colleagues. Porter’s appointment comes in the wake of an open letter signed by more than 300 people that describes a culture of sexual harassment in Springfield, as well as an accusation by former lobbyist Denise Rotheimer, who is running for an Illinois House seat in 2018, that state Sen. Ira Silverstein made frequent, unwanted comments about her appearance. Porter says she is not surprised by such allegations of misconduct. The role of legislative inspector general was created in 2003 and filled the following year by Thomas Homer, a former Illinois appellate court judge and state representative, who left the position in June 2014. Former U.S. Attorney J. William Roberts then served on an interim basis until the end of 2014. The office of legislative inspector general, which has no staff besides the inspector general, had been vacant since then—until now. Homer said the majority of the 150 complaints he received in his 10 years as Springfield’s lawmaker watchdog were not related to sexual harassment, but said that could be due to victims simply not knowing his position existed. By law, the legislative inspector general must obtain a majority vote by the Legislative Ethics Commission to investigate a complaint. Homer has recommended the legislative inspector general be given greater control and independence, such as the ability to publish reports—a move that currently requires unanimous approval by the commission. “My strongest recommendation is there needs to be more transparency and light on this,” Homer added. While Homer has described his former position as a “toothless tiger,” Porter is nonetheless confident she will make meaningful changes in Springfield. Nov. 2: As Springfield grapples with allegations of rampant sexual misconduct and harassment, lapses and flaws in the system for dealing with charges of harassment and other unethical behavior are rising to the surface. Nov. 1: Complaints against state lawmakers and legislative staff have been sitting in a binder for as long as three years, according to a legislator who sits on the commission charged with ruling on misconduct. Oct. 31: Lobbyist Denise Rotheimer, who is also running as a Republican for state representative, testified that she was the victim of “mind games” and untoward comments made by state Sen. Ira Silverstein, D-Chicago.